Facebook launched FBX, Facebook Ad Exchange — the first-ever social media real-time bidding (RTB) ad exchange — in June 2012 to let advertisers buy Facebook ad inventory that retargets users based on their past online browsing history. Since then, FBX has come to account for a huge slice of retargeted clicks on the web. Facebook Ad Exchange (FBX) is a new way of buying ads on Facebook through the use of real time bidding. Through FBX, advertisers can target their audience on Facebook using data collected outside of Facebook. 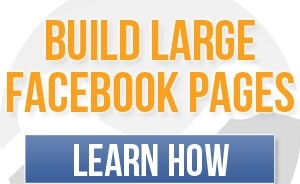 Retargeting on Facebook works the same way as other retargeting. If a visitor comes to your site and learns about your products, but leaves before purchasing, AdRoll can display your ads on Facebook later. This helps bring your visitors back to your site and keeps your brand top of mind. FBX is becoming a huge player in the real-time bidding space: Millions of ads are sold and purchased on FBX every second with the help of demand-side platforms that plug advertisers into FBX, and billions of impressions are served every day. Facebook already accounts for about half of the retargeted ad clicks on the Web. The real-time aspect of FBX is crucial. It’s impossible to target a user who is interested in living room furniture with personalized ads when they open their Facebook page unless he or she can be identified and served a relevant ad in milliseconds. FBX fills a certain niche, a very specific marketing objective known as “demand fulfillment,” nudging shoppers to complete a purchase they’ve already shown interest in. The platform was fast out of the gate: FBX produced stellar early results for advertisers, both in terms of cost and performance. Eventually, the price and performance bar will be set higher. That’s already starting to happen for better-performing News Feed placements. Despite FBX’s huge weight in the retargeting space, it still constitutes a small share of overall Facebook revenues. FBX is not yet available on mobile, though this may be coming soon. Additionally, Sponsored Story social-native ads, which are at the heart of Facebook’s ad ecosystem, aren’t accessible via FBX. The FBX News Feed ads are still limited in terms of their social features. The Cheapest Way to Advertise Online or Offline!